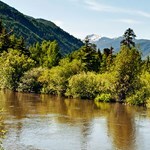 The name Norfork is a condensed idiom of North Fork and refers to the North Fork of the White River. This 110 mile river starts near Mountain Grove, Missouri, and flows south through Mark Twain National Forest, but the most exciting section is the last five miles before it empties into the White. 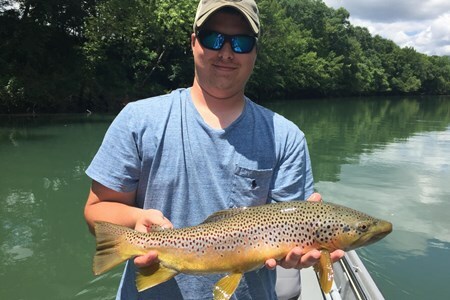 Fish Rivers And Lakes With Jon In addition to trout fishing on the White and North Fork rivers, Jon also conducts guided lake fishing trips on both Bull Shoals Lake and Norfork Lake. 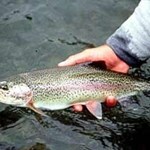 ... moreFish for trout one day, then fish for walleye, bass, and crappie the next day! 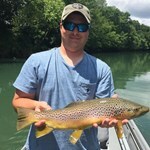 Our full day guided fishing trips on the Norfork River are designed to help you get the most out of your Arkansas fishing experience. 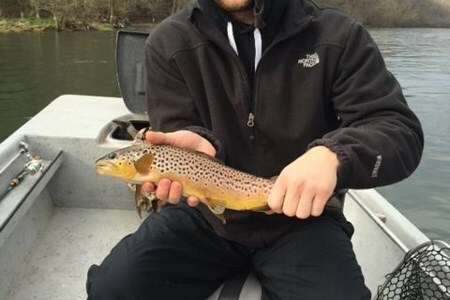 Our knowledgeable guides will take you to the ... moreprime spots for casting a line and show you the tricks you need to know to be successful on this river. 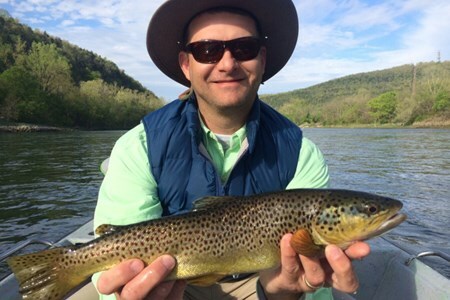 Our familiarity with local waters means we know where to go to get the best trout action, and we can help you enjoy your day to the fullest. Flows have been off most days until lunchtime at least, sometimes later. 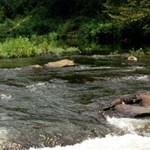 There is good wade fishing on low water with midges, caddis, and scuds. Root Beer midges are a favorite, Sunday ... moreSpecials and Hunchback scuds are staples too, and a variety of soft hackles work great as caddis emergers. It’s a hoot to fish a bushy caddis like an Elk Hair with a midge dropper through the riffles. Rods are available at no extra charge. 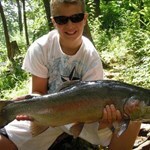 This little spring and lake fed creek offers no less than the world's best fishery for the under-16s. Every guide on our team, and every adult we know, wishes they could get a pass ... moreto fish Dry Run Creek for a day ... it's that much fun. Dry Run Creek is a natural creek flowing alongside the Norfork National Fish Hatchery and into Norfork Tailwater. It holds, courtesy of the food-rich outflow of the hatchery, phenomenal quantities of quality fish, even by White River system standards. 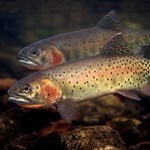 Probable state record rainbows and some seriously big brown trout and cutthroat have been caught and released on this creek. 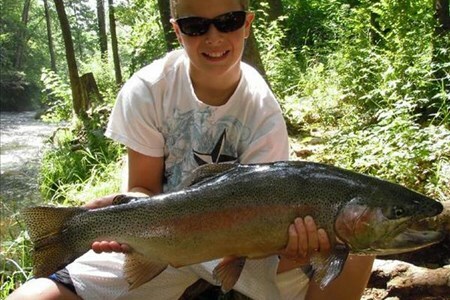 The monsters take some landing, but there are plenty of quality 18" to 22" fish which provide great thrills for any kid. It only takes one walk along the banks of Dry Run Creek for every adult fly fishing to wish they were 15 again, if only for a day. If there is a better fishery for kids, and handicapped anglers, we would be surprised. Dry Run Creek runs alongside the Norfork National Fish Hatchery. Rebuilt a few years ago under the guidance of Dave Whitlock, and better than ever, Dry Run Creek is small and intimate, just as wide as a beginner's roll cast. 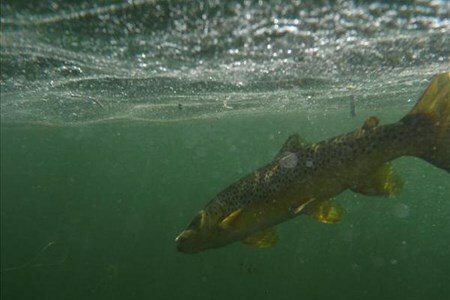 The clear shallow water allows amazing sightfishing opportunities, but there are still nooks and crannies to allow the better fish to hide out. 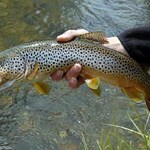 Sight fishing to particular fish is also a bonus on this small creek is often the best way to target the serious fish. Sowbugs, midges, scuds, worms and egg patterns are all popular and woolly buggers do well as well. Carry a big net and a camera. 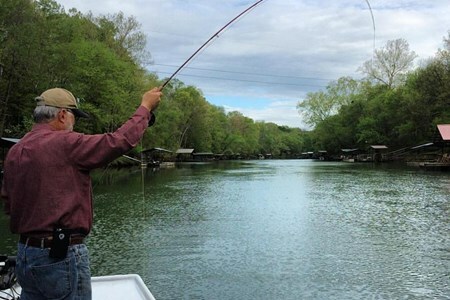 Being a fly fishing guide isn't just a way to earn a living. The best guides we know or have met have one thing in common, a burning passion, even obsession with the way of the fly rod. The ones who might guide you all day, then slip off to the river to fish of an evening; who schedule family holidays around fly fishing destinations and who climb out of bed in the middle of the night to tie that latest idea. 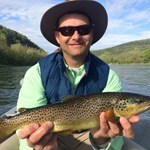 There are plenty of guides on the White River system to "show you where the fish are" but fewer who can find the fish, know the rigging and tactics for changing conditions; have the right rods, lines and fly boxes for any eventuality; can teach you how to double haul, or single spey with a trout rod. Who share your passion. Our guide team, which also makes up most of our shop ownership and staff, are these guys. They go through waders and boots like others wear out jeans and tennis shoes, have fished 4 continents and North America from Alaska to The Keys. Regular folk would probably think them "not right". Our tailwaters can be some of the most complex to deal with anywhere, given the enormously varied water conditions you could face on any day. There aren't many places you can start the day wading at 50 cfs, and by midafternoon, be drifting on 20,000 cfs, and our guys will still have you catching fish and having fun. These are the guys you want to make your fly fishing holiday one to remember for all the right reasons and keep you coming back season after season. The team offers wade, drift boat and river boat trips. They are state-licensed, properly insured and totally professional. 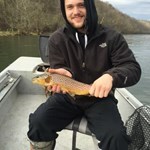 They also happen to be a lot of fun.Bring your favorite rods or use our guide rods, at no extra charge, just give us a heads up when you book if you need gear. 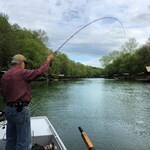 We can also arrange you to trial that next rod on your shopping list during your guide trip.You need to have appropriate clothing for the conditions, sunglasses, hat and sunscreen. Waders are optional on higher flows, essential on low water. 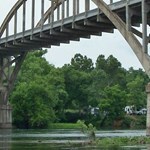 Our full day trips include lunch, which could range from sandwiches, cold meats, southern fried chicken, fajitas or bbq. Generally as standard we don't do cooked "shore lunches" which eat into your fishing time. But if your party would like a fish fry, bbq or other cooked lunches we are more than happy to arrange these services for an additional fee. Please let us know if you have any dietary requirements or serious dislikes, we can give the guide a heads up, particularly for soda choices alongside our standard bottled water. The Norfork Tailwater, the lower 5 miles of the North Fork of the White River, is as gorgeous a stream as you are likely to find anywhere in the USA. 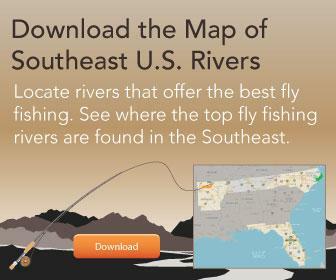 For good reason it was named one ... moreof Trout Unlimited's Top 5 Rivers to fish last decade. The Princess of Tailwaters is smaller, more intimate, and more like a western river than the broad expanses of the White. She offers the variety of the White, runs, riffles, flat pools, and plunge pools, poured onto a smaller canvas. 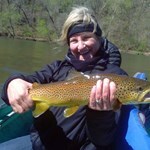 Its also a great place to get an Arkansas Slam, all 4 trout species, browns, rainbows, brook and cutthroat on a single day. Yet despite the indignities she has suffered in recent years, runoff pollution, low dissolved oxygen, and massive flooding, the Norfork keeps bouncing back, like the sweetheart she is, producing quality fish and wonderful days. 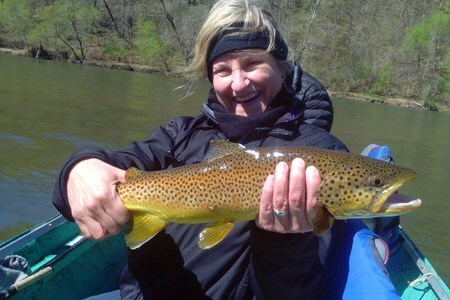 It's oft forgotten that not long before Rip Collin's 40lb 4oz world record brown caught on the Little Red River, the Norfork had produced her own contender, from McLellan's Dock. Norfork probably packs more variety in her 5 miles than most rivers in their whole length. The river remains a favorite for low water waders, more readily available than the White. But access is now only available at only 3 points, Quarry Park, the Ackerman Access and at the Confluence with the White. It takes some strong legwork and a knowledge of the generation patterns to get away from the crowds. Please read out Water Flow information as a guide. Many waders vacate the river totally when generation starts but few realise the quality fishing, and wading offered by floating the river by canoe, pontoon or drift boat. Like the White, sowbugs, scuds and midges form the mainstay of the food base, plus larger fare like sculpins, minnows and crawdads. 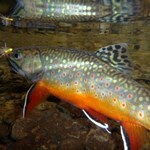 Traditional nymphing, swung wet flies and European nymphing are all productive techniques. 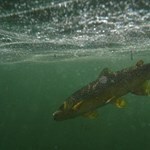 But there are also good opportunities for dry fly fishing on the midge, caddis, sulphur and terrestrial hatches. 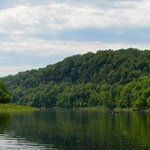 Norfork also can be a nice, pontoon or canoe float, to access the less traveled middle part of the river.